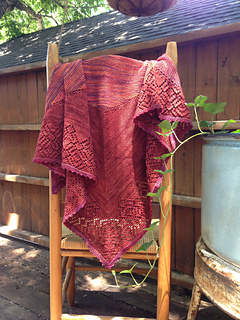 Charlatan is a triangular shaped shawl with an unconventional construction. 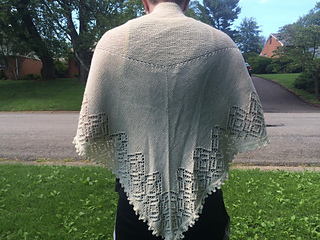 It is the second shawl in the Looking Back Series-named for those snake oil salesmen of old, peddling their wares on false pretenses, and for those who dared to hope for the miraculous results they promised. 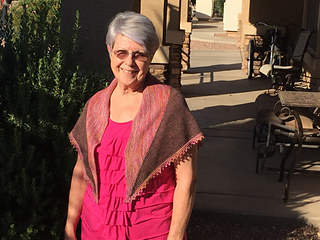 This shawl is a study in deception and trickery. 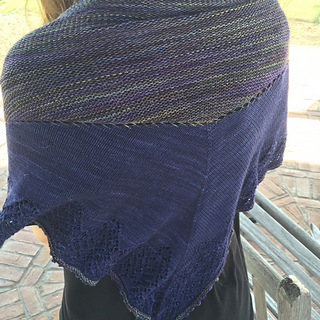 With its novel construction and opportunity for nearly endless yarn combinations, you’ll be able to easily showcase those hidden and lonely skeins in your stash. Step right up! I invite you to see its magical properties for yourself! 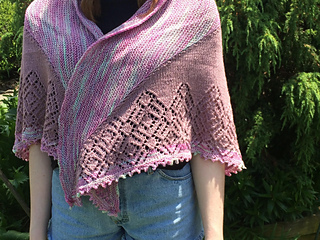 Charlatan’s top triangle is knit from the center up to the top edge in garter stitch--creating the perfect environment to showcase a gorgeous skein of variegated yarn or even to create a striped effect using a mini-skein pack. 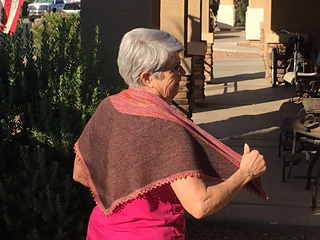 Once the top triangle is bound off, three stitches are cast on at the point and the lower section of the shawl is worked back and forth in rows by picking up a stitch from the edge of the top triangle at the end of each row to join the two sections together. 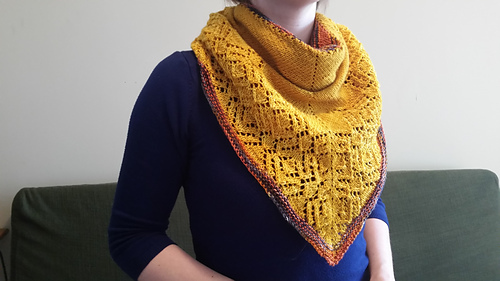 A beautiful band of geometric, art deco inspired lace is worked into the the stockinette section and the whole piece is finished off with an optional picot bind off for the perfect final flourish.